The highlights of the event were the C621 AORUS XTREME Motherboard and the AORUS AD27QD Gaming Monitor. Gigabyte has been increasing their market presence in India over the years, and they don’t seem to be stopping. They are now planning to get into the high end PC segment, as their latest launch event in Mumbai shows. 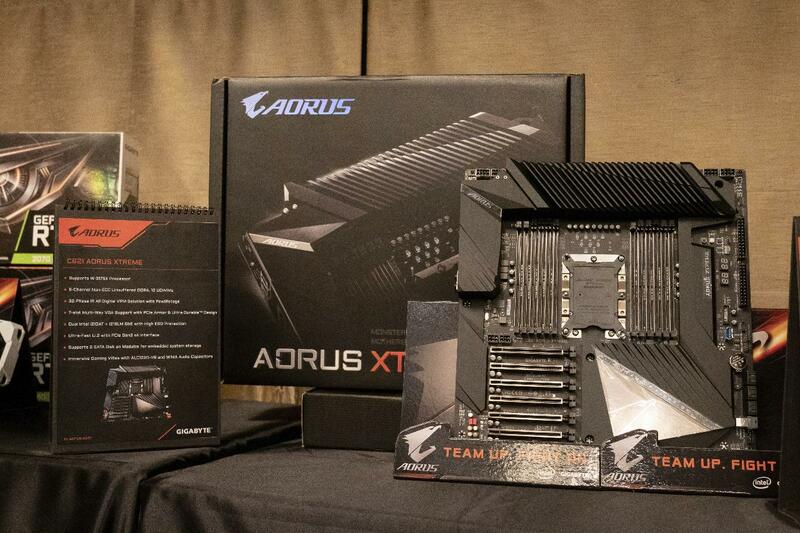 The company showcased their latest flagship motherboard at the event, the Z390 AORUS XTREME WATERFORCE 5G. This beast of a motherboard comes bundled with a pretested Intel® CoreTM i9-9900K processor which will run at 5.1 GHz. This flagship motherboard features top-of-the-line heat dissipation with striking aesthetics, drawing out the best performance from Intel® CoreTM i9-9900K processor. The event also featured their AORUS AD27QD Gaming Monitor, which is being touted as the world’s first “tactical monitor”. The monitor features Active Noise Cancelling (ANC), Black Equalizer, Aim Stabilizer, GameAssist, AORUS Dashboard, OSD Sidekick. The Monitor also has a 144Hz refresh rate, HDR dispaly, 1 ms response time, and 10Bits colour IPS panel. This monitor is for you if you are into esports and competitive gaming. The event also showcased AORUS RGB AIC NVMe SSD, which is the latest product in the lineup. The AORUS SSD is the first SSD in market to have full lighting synchronization with motherboards and graphics cards.